Tomb of the Cai Cutu family. The hypogeum was occasionally discovered in the course of consrtuction activities in via Madonna del Riccio, Monteluce, Perugia. 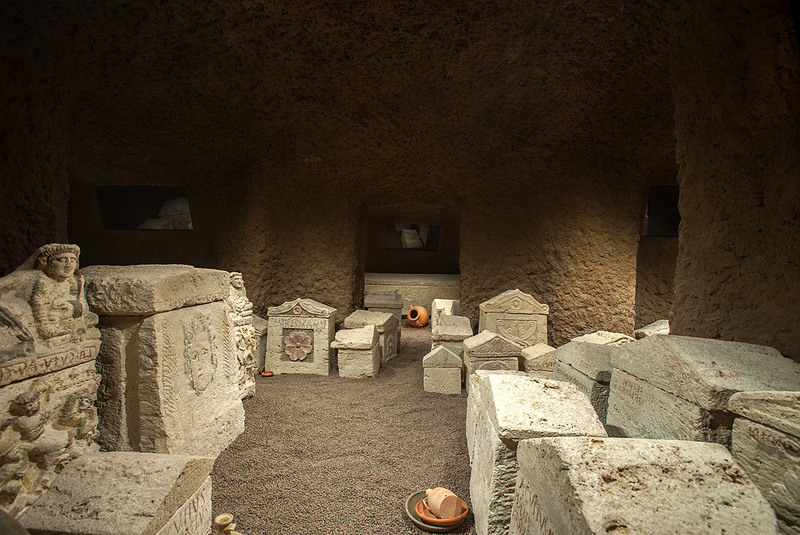 The hypogeum was moved in extenso to the Museo Archeologico Nazionale di Umbria in Perugia.